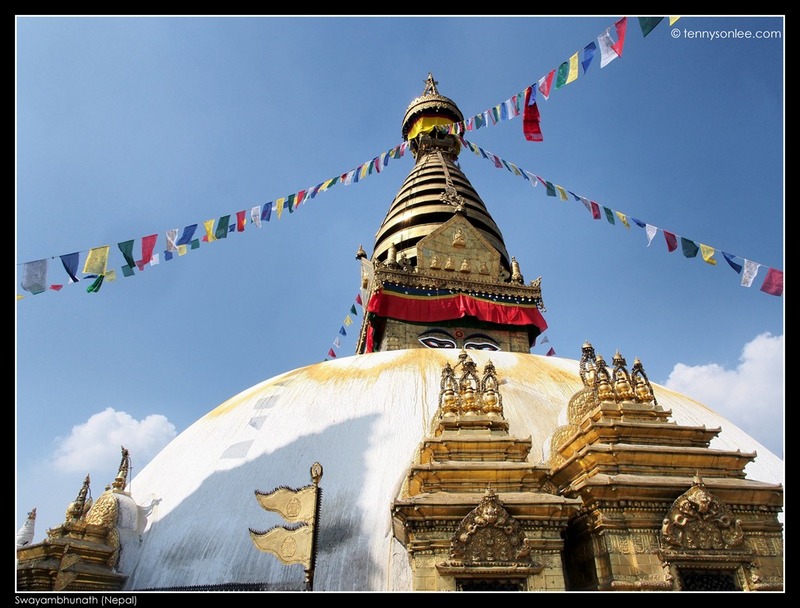 Swayambhunath is one of the oldest religeous sites in Kathmandu Valley, founded in the 5th century. 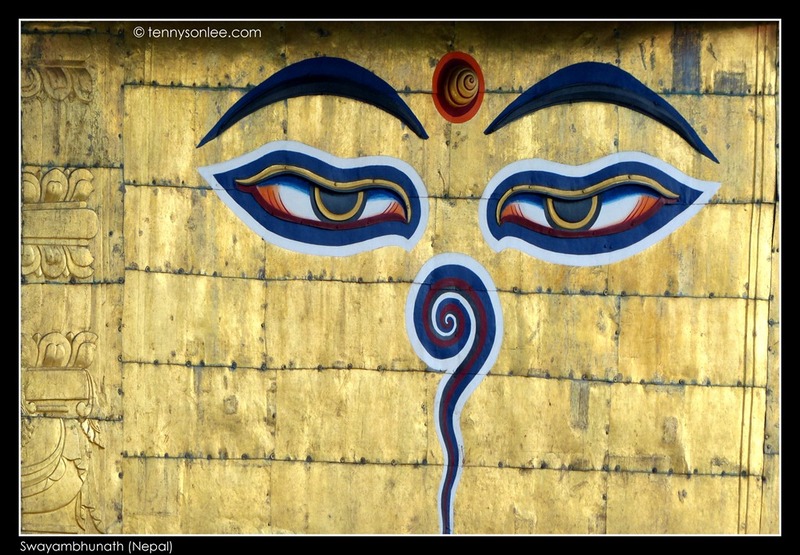 The Buddha eyes (wisdom eyes) on the stupa has been symbolic to Nepal. I skew the image to provide a flatten view of potential look if we are starring at eye level. 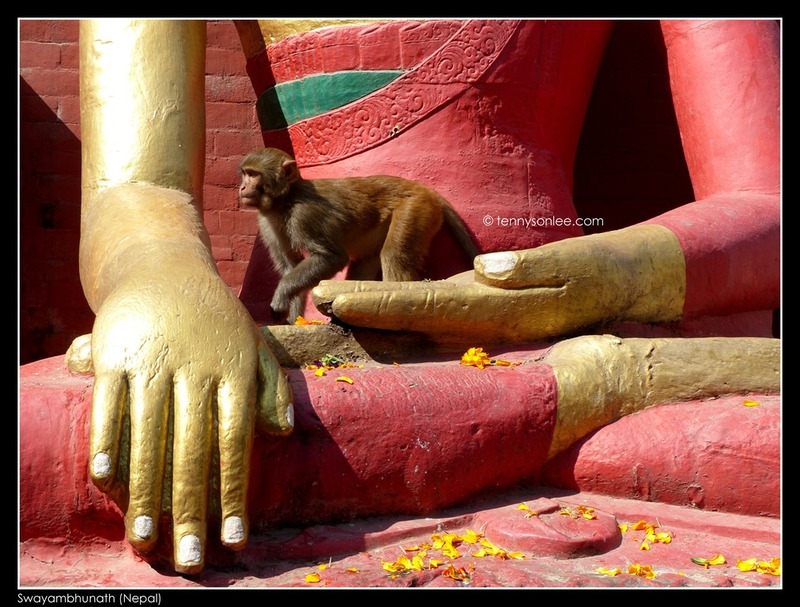 To foreign tourist, this temple complex is better known as the Monkey Temple.